During the 1960s, the music scene was changing rapidly and all styles were crisscrossing each other in a very positive way, and fans were simply eating it up. 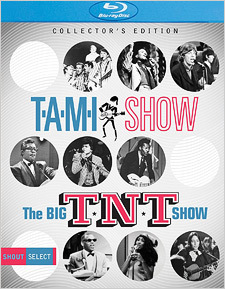 Documenting this dimensional shift were two concert films: The T.A.M.I. Show and The Big T.N.T. Show, both released by American International Pictures. Each film is a smorgasbord of musical groups of the day, from the popular to the obscure. Mixing all things rock, folk, pop, R&B, soul, country, etc., each film captures a moment in time for many of its participants and solidifies the 1960s as one of the greatest decades in popular music. The T.A.M.I. Show (Teen Age Music International) was released in 1964. Shot over two nights at the Santa Monica Civic Auditorium using the Electronovision process, the film features performances by Jan and Dean (also acting as hosts for the event), The Beach Boys, The Supremes, Lesley Gore, Marvin Gaye, Chuck Berry, Gerry & The Pacemakers, Billy J. Kramer and The Dakotas, The Barbarians, Smokey Robinson & The Miracles, and most prominently, The Rolling Stones and James Brown & The Famous Flames. James Brown’s show-stopping performance is a particular highlight, but it was also distressing for The Rolling Stones who later admitted that having to go on after him was a career mistake as they felt justifiably upstaged. Also worth noting is that both John Landis and David Cassidy were in the crowd. The Big T.N.T. Show, by contrast, is even more diverse than its predecessor. Released in 1966 and shot at the Moulin Rouge club in Los Angeles, it features performances by Ray Charles, Petula “Pat” Clark, Joan Baez, The Lovin’ Spoonful, Bo Diddley, Donovan, The Ronettes, Roger Miller, The Byrds, and The Ike & Tina Turner Revue. Hosted by The Man from U.N.C.L.E.’s David McCallum and produced by Phil Spector (who even sits in on piano for one number), it was, along with The T.A.M.I. Show, cut down and compressed into a VHS release entitled The T.A.M.I./T.N.T. Show, a.k.a. That Was Rock. Both shows were unavailable in full for many years until Shout! Factory released The T.A.M.I. 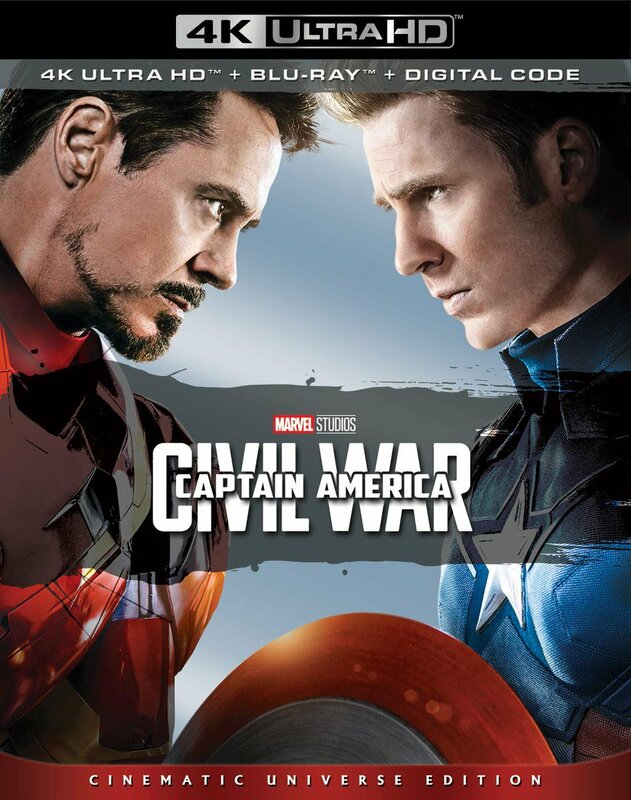 Show on DVD in 2010. Now they can be enjoyed side-by-side with Shout Select’s Blu-ray release. As I mentioned before, both films were captured via high definition video tape (Electronovision, a process invented by Bill Sargent) and transferred to film. More or less a kinescope process, the footage definitely has the look and feel of old TV shows from the 1950s and 1960s. That means the footage presented on this new Blu-ray release is probably as good as it’s going to get, and judging it harshly isn’t the correct course of action. Considering what it’s looked like over the years, particularly on the aforementioned VHS release, it’s quite remarkable. All of the performances are shot well and you can clearly see everything that’s taking place. Occasional but brief wash-outs are apparent when something reflects in the camera lens (the shiny, silver tuning pegs on Brian Wilson’s bass guitar for example) and there are obvious scratches and density issues throughout, but in my most humble opinion, none of these things really detract from the performances. In all honesty, they add to the aesthetic of the time period. It’s as if you’re watching two long-lost gems that have been newly unearthed and never seen by the public... and in a way, they are (outside of a movie theater, that is). The same goes for each film’s audio tracks, which are presented in DTS-HD. It’s also the best you’re going to get, even with the sometimes patchy sections, constant hiss, and distortion – the latter particularly coming from the girls screaming at the top of their lungs. I’m personally just happy to have these in better quality and in their complete form. And if you need them, there are also subtitles in English. This release also comes with some pretty good extras. For The T.A.M.I. Show, there’s an audio commentary with director Steve Binder and music historian Don Waller; a separate interview with Steve Binder; 4 radio spots; the film’s theatrical trailer; and the Trailers from Hell version of the trailer with John Landis’ audio commentary. For The Big T.N.T. show, there are three separate interviews with Petula Clark, John Sebastian of The Lovin’ Spoonful, and Henry Diltz of The Modern Folk Quartet (all of which are new extras); The Big T.N.T. Show: An Electic Mix, a short featurette on the show itself featuring the same interview subjects, as well as Steve Binder; the film’s theatrical trailer; and a 36-page insert booklet that chronicles both shows with essays by Don Waller. While it would have been nice to have had access to the original high definition video tapes for brand new transfers, in all likelihood, they probably don’t exist anymore, and if they do, they’re likely in very poor condition. Regardless, if you’re a music fan and haven’t seen The T.A.M.I. Show or The Big T.N.T. Show, you owe it to yourself to pick up this fine release and check them out.